And so begins her journey back to her kingdom's heart, to claim the throne, earn the loyalty of her people, overturn her mother's legacy and redeem the Tearling from the forces of corruption and dark magic that are threatening to destroy it. But Kelsea's story is not just about her learning the true nature of her inheritance - it's about a heroine who must learn to acknowledge and live with the realities of coming of age in all its insecurities and attractions, alongside the ethical dilemmas of ruling justly and fairly while simply trying to stay alive.. The first time I saw the summary on Goodreads; I was already captivated. I am glad that I became part of this tour. The world-building is the icing on the cake, everything is rich and detailed. It feels like I was part of the story. I love the historical feel and adventure. The story creeps into you slowly until you are completely blended inside. I also like the author’s writing style. It reminds me of J.K Rowling’s; a complex world but written simple. There’s no doubt the readers will be hooked. My only problem is the pacing. It’s a bit slow for my liking but once it hits the highest peak, it makes you want to read more. The scenes were described well and realistic enough. I didn’t had a hard time comprehending the situations. I wasn’t also expecting some explicit scenes. I find it appropriate for the story. Again, it exhibits reality making it believable. It’s dark, suspense, historical and political. Game of Thrones and Harry Potter fans will enjoy the book. Smashing GoT and HP together is brilliant. The character-building is incredible. There are so many of them, and it made the story lively. 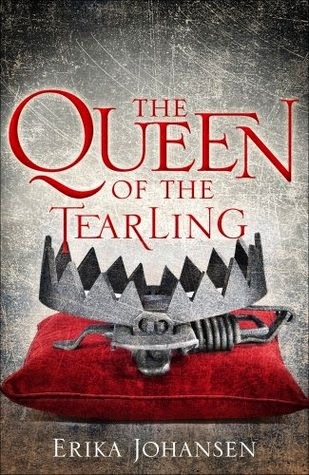 But it’s all about Kelsea and her task to become the Queen of the Tearling. Though, not everything about her is written in the book; so it made her mysterious is some ways. As the story flows, secrets will be revealed. As for the romance, there was none. But I hope there will be in the future. There are some eligible bachelors for Kelsea (Sigh). This upcoming series will be a big hit. So I suggest for you guys to read it while it’s still hot. Did I mention that Emma Watson will play as Kelsea? And that the people behind The Harry Potter Series will make the movie? I give this 4 Sapphire Whales. I didn't realize they were making a movie of this one. I really want to read it. It sounds great!